Please note that the content of this book primarily consists of articles available from Wikipedia or other free sources online. 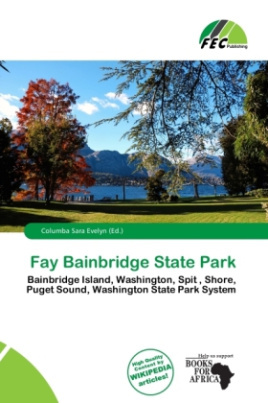 Fay Bainbridge State Park is located on the northeast tip of Bainbridge Island, Washington, immediately south of the Point Monroe sandspit. The park comprises 16.84 acres of land, including 1,420 feet of saltwater shoreline along Puget Sound. In 1944, the state of Washington purchased the land for the park for $5,000 from the estate of Temple S. Fay. The land was purchased from the Fay estate with the stipulation that the Washington State Park System maintain the name Fay. Temple S. Fay was a neurosurgeon who introduced the use of hypothermia[ in medical and surgical illnesses, and he developed rehabilitation procedures based upon analysis of phylogenetic movements.